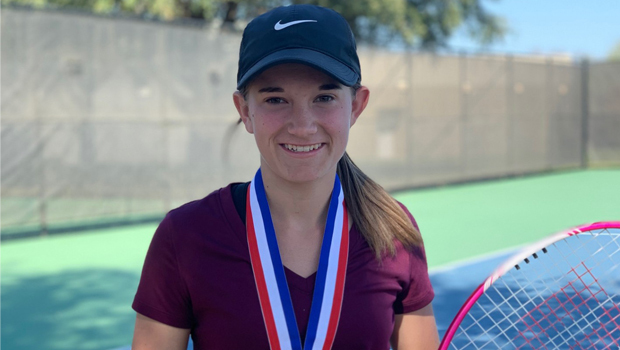 The district tennis meet district 22-1A took place on April 2 at Denton Goldfield. Three athletes from Montague County qualified for the regional meet by finishing in the top two in the district in their division. All three came from Saint Jo. In the girl singles division, Jayla Thomas was second to the winner from Slidell. In the boy’s doubles division, the team of Logan Morman and Connor Thompson also finished second. Other athletes from Montague County came up just short and were named regional alternates. They include the team of Braxton Osteen and Riley Sandusky from Forestburg; the team of Kelly Contreras and Ashlyn Brown from Gold-Burg; the team of Steven Bell and DeAnna Molinaro from Gold-Burg; Noah Clure from Forestburg in boys singles; Bailee Tipton and Samantha Tompkins both in girls singles from Prairie Valley. The regional tournament will be at A&M Consolidated High School in College Station on April 17-18. Like district, the top two finishers will qualify for the state meet that will be at Texas A&M on May 16-17.